If God Created The Devil? Jesus said, "My kingdom is not of this world" (John 18:36), so to whom does this world's kingdoms belong? The Bible reveals much about an unseen power that works behind the scenes, shaping our world to its will and agenda. 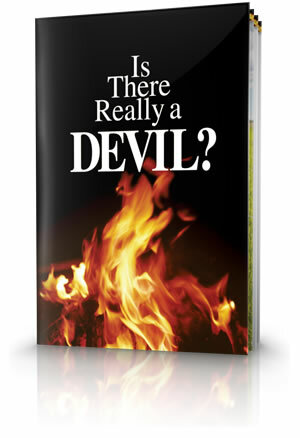 In this booklet you will discover the real source behind so many of the world's problems, and learn about the being who is determined to bend your thinking to his own. Like to take a quick Quiz? The Bible reveals much about an unseen power that works behind the scenes, shaping our world to its will and agenda. Are you being taken in? Does such a being exist? Where could such a creature have come from? What is his purpose, his goal, his intent? What does he do? Is he, as many believe, simply a mythical embodiment of evil? Is The Whole World Deceived? If you were the devil and wanted to deceive the entire world, how would you approach such a challenge? Where did the devil come from? How did such a creature come to be? 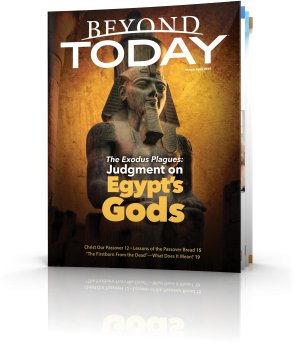 Did God purposefully create an evil being? The Bible reveals the answers to these questions. They can help us understand why Satan really is the enemy of mankind. The parallels between the astronomical picture and what happened in the spirit realm are striking and reinforce the points Isaiah makes here in describing this tragic angelic rebellion. The Bible makes it clear that civilisations and societies are influenced by Satan. 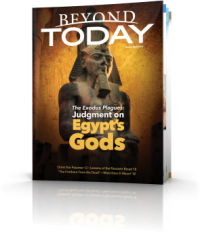 The biblical record shows that during this age God uses His power to intervene sparingly, often letting the natural course of events work out His purpose and plan for mankind. Why Does God Allow Satan to Influence Mankind? God is all powerful. Yet He allows Satan to carry out his deceitful and destructive activities—within certain limits—for a purpose. Now that we have seen that Satan is a real being with real powers, we need to understand how he uses his powers. We should also understand his intentions and overall goal. If you could see and meet the devil face to face, what would he look like? He is commonly depicted as a cartoon character in a red suit with a pitchfork or as a hideous-looking ghoul. How Can We Resist the Devil? In addition to identifying Satan's methods of deceiving people, God gives us specific guidance to counteract the devil and his influence. The Scriptures draw sharp contrasts between God and Satan that help us better understand the profound differences between their character, motivations, goals and actions. Strange practices and religions such as Wicca, Santeria, voodoo and channeling are growing in popularity. Are such things harmless, or is there more to them than meets the eye? What if You Are Confronted by the Dark Side of the Spirit World? 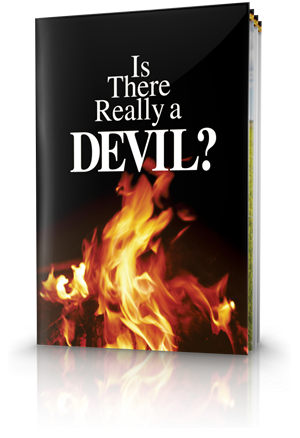 The Bible provides a guide to successfully countering any of Satan's deceptions. Below are several principles you should follow. The Bible constantly warns us not to participate in any type of channeling, which requires one to open his or her mind to these spirits. If we consider the whole picture, there should be no doubt that this is Satan's world rather than God's. As a deceiver, Satan has no equal. In addition to being the world's greatest con artist, he is also its most accomplished counterfeiter. Satan's world, built on a foundation of lies and deception, will come crashing down, replaced by the Kingdom of truth and light. That is good information. Thank-you.